The women working in different tea processing factories in Ilam and Panchthar districts have united to press for their rights against the gender-based discrimination. The women workers have come together setting up their union to put their demand for rights and equal wages to the men co-workers. Orthodox Tea Women Workers’ Forum is the latest union of the women workers established to raise their voices against gender-based discrimination. Secretary of the Forum Debuka Acharya said that the women are discriminated in wages on the basis of gender. “Men are given Rs 400 per day while women are paid just Rs 300 in the tea processing factories for the same work,” she lamented. 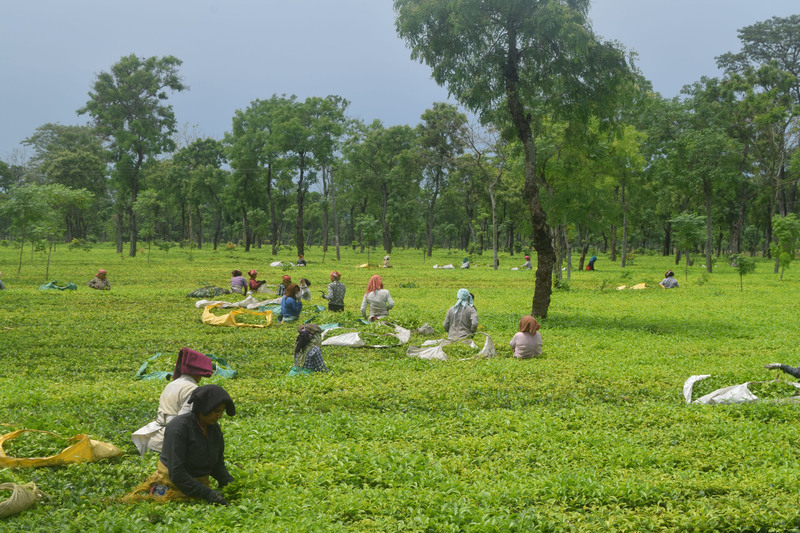 According to Acharya, at least a woman from all tea processing factories from the two districts are included in the Forum adding that the number of the members would be increased. “We are united to share our voices in a collective manner. Also we realized the need for a union to share our members about labor laws, acts and other information,” Acharya added. Besides uniting, the union has also started an initiative for monthly saving from its members. Members of the union collect Rs 100 each in the fund and the money would be lend to the needy ones.